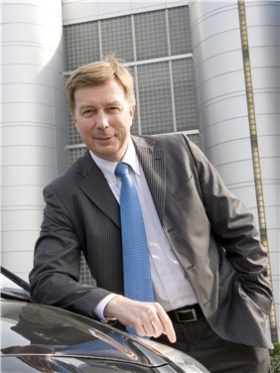 Production expert and recently appointed quality overseer Didier Leroy will become the first European to head Toyota Motor Corp.'s operations in Europe. Leroy's main priority will be to reverse Toyota's declining European sales and repair the automaker's image after more than 1.7 million cars were recalled in Europe as part of the company's global campaign to address safety issues. Leroy, a 52-year-old French native, will become president of Toyota Motor Europe effective June 24. He will succeed current president Tadashi Arashima, who Toyota said is retiring from his current positions at the automaker. Industry sources expect Arashima to return to his native Japan to take on a new job outside Toyota. In his new job, Leroy will oversee all of Toyota's European operations, including manufacturing, engineering, sales and marketing. 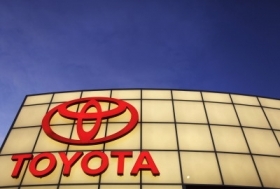 He will also retain his current role as Toyota Europe's chief quality officer, a post created by the company in March following the recall campaign. “I look forward to working closely with all of Toyota's European family to support the sustained development of Toyota's operations in Europe, based on our key priorities of superior quality and customer satisfaction,” Leroy said in a statement. He added that the company will work hard to further strengthen the Toyota and Lexus lineups in Europe, combining environmental performance and driving pleasure, with vehicles tailored to meet the expectations of European customers. After Toyota's European recalls started in January, the company saw its year-on-year new-car sales in the region fall 20 percent in February, 13.6 percent in March and 21.3 percent in April. The three sharp drops followed a 12 percent sales rise in January. From January to April, Toyota's European volume was down 10.7 percent to 205,995 units, according to data from the industry association ACEA. Leroy joined Toyota in 1998 as a vice president in charge of manufacturing to set up a new factory in Valenciennes, France, to build the Yaris subcompact. He managed Toyota Motor Manufacturing France's rapid growth and became president of the plant in 2005. In 2007, he was appointed an executive vice president of Toyota Europe and he focused on improving the operational efficiency of Toyota's European manufacturing plants in that role. Leroy move to head Toyota's sales functions in Europe in 2009 after the retirement of another Frenchman, Thierry Dombreval. Leroy started Toyota's production in France. Toyota Europe has launched a 20 million euro ($26.3 million) pan-European TV, print and online media campaign featuring employees talking about their commitment to quality and safety in a bid to regain consumer trust following its huge recall. With the help of the campaign, Toyota hopes to contain the dip in its European sales to 9.9 percent for the full year, or about 765,000 units, 84,000 below the company's earlier target of 849,000. In 2009, Toyota's European sales were 877,543.